Cellist Isabel Gehweiler gained international recognition for the first time in 2007 at the age of 19 by winning the prestigious “European Young Artist Award“, previously awarded to major artists such as Anne-Sophie Mutter and Sol Gabetta. As a soloist and chamber musician, Isabel Gehweiler has performed at the Bayreuth Festival 2013, Verbier Festival, Lucerne Festival, Interlaken Classics, Mecklenburg-Vorpommern Festival, Klangforum Wien’s Impuls Festival Graz, Ensemble Modern’s Klangspuren Festival Schwaz, Saarländischer Rundfunk’s Mouvement Festival für Neue Musik Saarbrücken, Podium Festivalen Haugesund, focus! Festival in New York and the Kronberg Cello Festival. Isabel Gehweiler is a laureate of numerous competitions including the European Young Artist Award, the Art Prize of the Baden-Württemberg Art Foundation and the Markgräfler Kunstförderpreis. She has received scholarships from the Casino Gesellschaft Saarbrücken, the DAAD (German Academic Exchange Service), the Juilliard School of Music, the Rotary International Foundation, the arteMusica Foundation, the Studienstiftung des Saarlandes and the Richard-Wagner Society. Since 2017, she has been a scholarship holder from the Notenstein La Roche private bank’s promotional program for young musicians. 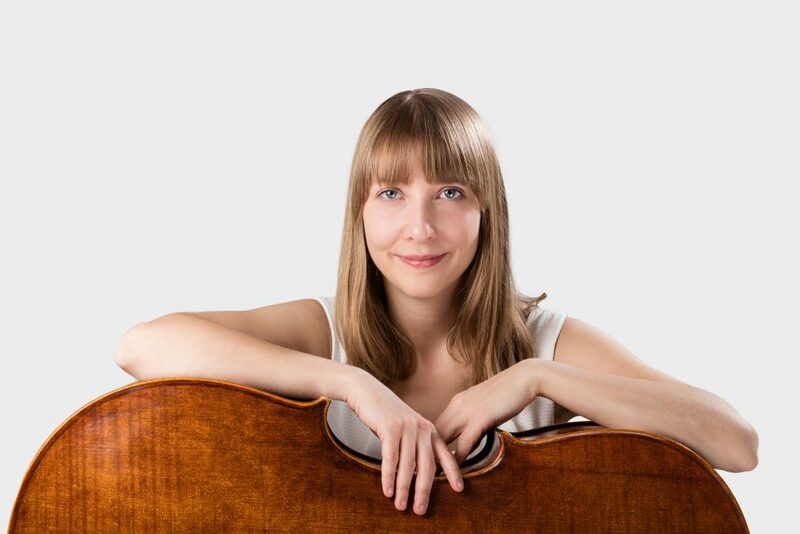 Ms. Gehweiler is currently teaching cello at the Hochschule für Musik, Medien und Theater in Hannover, and lecturing in music pedagogy at the Zürcher Hochschule der Künste (ZHdK) in Switzerland. She is currently also playing in two new theater productions by Christoph Marthaler; at the Deutsches Schauspielhaus Hamburg (Übermann ODER Die Liebe kommt zu Besuch) and at the Schauspielhaus Zürich (44 Harmonies From Apartment House 1776). In addition to these endeavors, she is studying specialized physiology for musicians at the Zurich University of Arts with Prof. MD Horst Hildebrandt. Her teachers include Katharina Gohl-Moser and Ivan Monighetti (both Hochschule für Musik Basel – Precollege), Richard Aaron (The Juilliard School, NY – Bachelor of Music), Gustav Rivinius (HfM Saarbrücken – Orchestra Diploma) and Thomas Grossenbacher (Zurich University of Arts, Zurich – Soloist exam and teaching diploma). Isabel Gehweiler is also a composer and plays a cello by Ersen Aycan (2009).